Despite Trump’s recent statements this writer believes that America is unlikely to launch a military strike on Iran anytime soon. Certainly its military commanders do not want to, even if U.S. politicians say otherwise. For U.S. commanders know that Iran has spent almost two decades purposefully developing its military in anticipation of just such an attack. Consequently it could prove a far more formidable adversary than the Iraqis or the Taliban, both of whom the U.S. was unable fully subjugate. Moreover, it needs to be said that Americans are not a warrior people. Sure they make war movies and they have the missiles, tanks and guns but collectively they are not fighters. Despite what John Wayne, Rambo and Hollywood would have you believe it’s just not part of their collective national character. Of course there are individual Americans to whom this does not apply. In fact I served with two in the Rhodesian Army Special Forces. My sergeant, Hughie McCall, and a buddy Joe Byrne, both of whom thrilled in combat and both of whom paid the ultimate price. However, neither was representative of America’s collective martial spirit. They were individuals, native New Yorkers of Irish-American descent, fighting far from home alongside Rhodesians, Englishmen, Scots, Aussies, Canadians, Kiwis and South Africans. Although both my comrades were good soldiers the Americans as a whole have long had a very poor reputation in the field. This is reflected in the fact that America has not single-handedly won a war since WWII. Sure it has been involved in a lot military campaigns that left millions dead, mostly civilians, and come to some face-saving negotiated “settlements”, but America hasn’t won a decisive clear-cut military victory in more than seventy years. By contrast, during the same period Britain successfully fought communists in Malaysia and defeated Argentina in the Falklands. I suspect that the implications of this is beginning to dawn in the Pentagon. This accounts for America’s increasing reliance on drones, remotely piloted UAVs, air-power and long-range cruise missile strikes. Technology that enables the U.S. military to deliver blows from a distance with minimal risk to its servicemen and women. It’s an area where America excels. However, Iran’s increasingly sophisticated military means that America will not be able to rely on its superior military technology alone. To prevail in any military confrontation with Iran it would have to do something the Pentagon dreads. America would have to put its servicemen and women in the line of fire. This means that despite America’s obvious and overwhelmingly military superiority it still runs the risk of finding itself trapped in a military stalemate. Or worse. Just as it once did in Vietnam. Compounding things Russia and China could side with Iran, and not just diplomatically. America’s military command knows this, which is why I suspect that they will do their utmost to avoid direct military confrontation. It also explains why other, non-military, means to undermine Iran’s increasingly sophisticated defences are currently being discussed in Washington. This includes further sanctions targeting the Revolutionary Guards Corps and measures to contain its missile development program. For his part the Ayatollah Khamenei has emphatically rejected any suggestion that the Islamic Republic’s weapons development be the subject of negotiations. 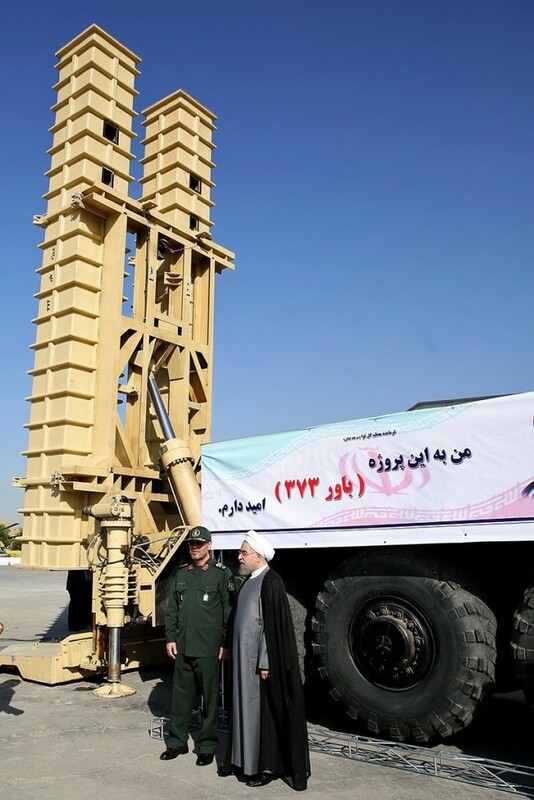 Until now Iran had limited the range of its missiles to 2,000 kilometres (1,240 miles) because, it claimed, it only wanted them to neutralise threats to its territory. Whatever the intention, this still enabled it to strike arch enemies Saudi Arabia, Israel and all major U.S. bases in the region. However, with renewed U.S. sanctions that policy may be about to change. “The US should know that more economic pressures and sanction will increase the Iranian nation’s determination to increase its defense and missile power and they (the US) will see an increase in the range and precision-striking power of (Iran’s) missiles,” Far News quoted him as saying. So if the U.S. wants to contain Iran’s growing influence it’s either going to have tone down its belligerence or confront it directly, with all the risks that entails. Ed. Iran’s missile program is not in breach of its nuclear deal and will continue despite objections from the United States, President Hassan Rouhani said Sunday. Earlier this month, US President Donald Trump announced that he would no longer make regular certifications that the lifting of sanctions under the deal — known as the Joint Comprehensive Plan of Action (JCPoA) — had been in US interests. The agreement was negotiated in 2015 with the P5 +1 powers and the European Union. The P5+1 includes Germany and the permanent members of the UN Security Council: the United States, Russia, China, France and Britain. According to the Iranian President’s official website, Rouhani in a speech Sunday questioned the US government’s credibility and reliability. The fact that the plan does not address Iran’s nuclear missile program is one reason why Trump had been dissatisfied with the agreement. “Iran just test-fired a Ballistic Missile capable of reaching Israel. They are also working with North Korea. Not much of an agreement we have!” the US leader tweeted in late September. In his October 13 speech, Trump said: “We cannot and will not make this certification. We will not continue down a path whose predictable conclusion is more violence, more terror and the very real threat of Iran’s nuclear breakout. 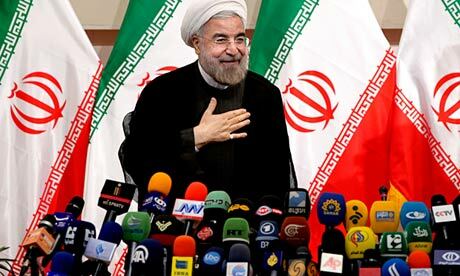 But Sunday Rouhani said Iran had fulfilled its obligations on the nuclear issue and had the right to defend itself. “We will build, produce and store any weapon of any kind we need to defend ourselves, our territorial integrity and our nation, and we will not hesitate about it,” he said. Trump’s decision to decertify the JCPoA agreement did not amount to cancelling the agreement but rather gave Congress 60 days to decide whether to reimpose sanctions against Iran, a move that could leave the United States in violation of the deal.